Birds are singing and the bite of winter is fading, flowers are blooming and your allergies are acting up! It’s spring time and it’s time to shake off the snuggies, dump the peppermint lattes, and get ready for the vibrant florals of the season! Spring is about flowers and pastel chic and you’d better believe it’s the perfect time for a fairytale wedding. Here’s some ideas for your Floral Bridal Shower! You can’t do it without them! 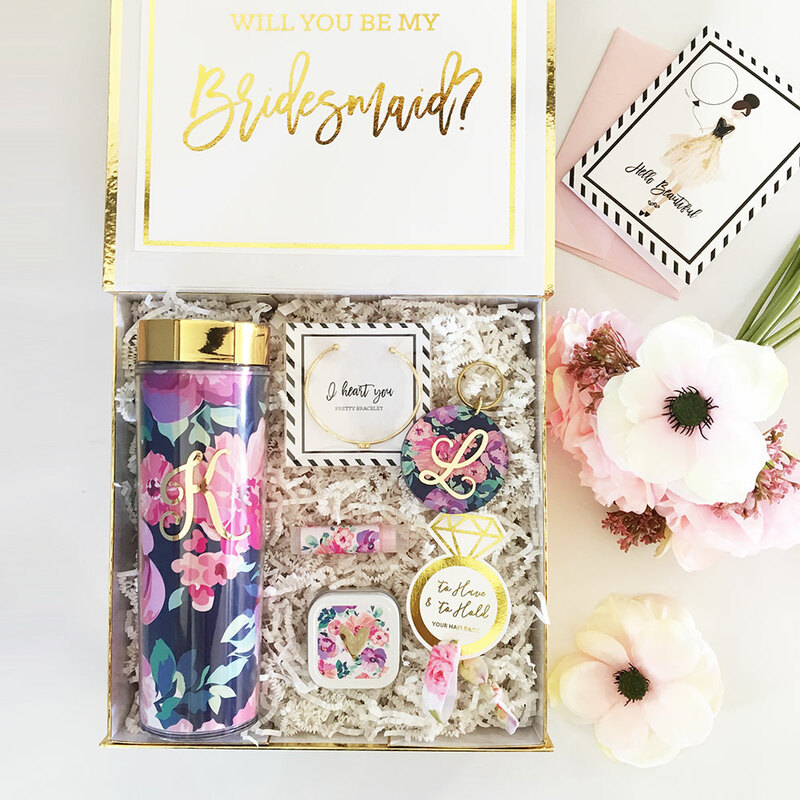 Thank your bridesmaids for being there for every melt down, every last minute fitting, and accompanying you on your big day with our Floral Monogram Tumblers! Chic and unique (not to mention useful!) our tumblers are the gift that your girls will really appreciate while they’re running around making your special day perfect! 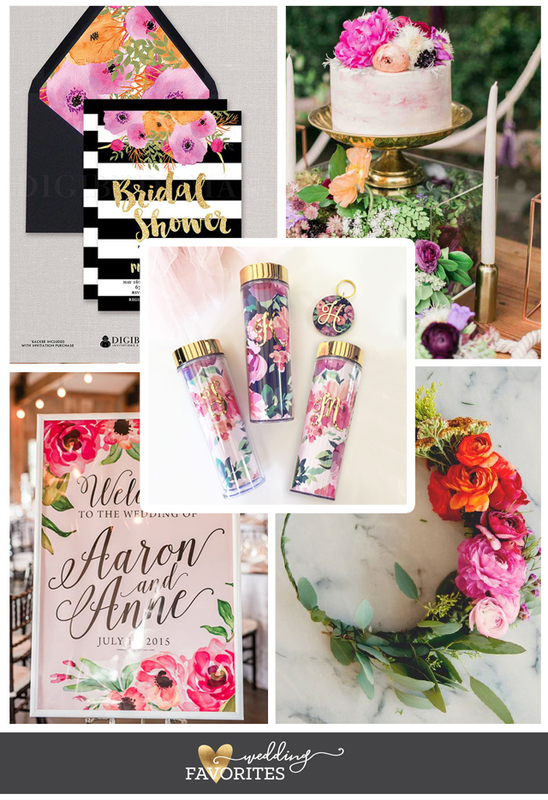 Bright and festive, this wedding invitation is modern and chic and the perfect way to kick off your Floral Bridal Shower! Be absolutely inspired by these Clear Acrylic Box centerpieces. Floral and boho chic, they’re a beautiful way to give guests a 365-degree view of the flower arrangements. Elegant with a palette of Blush and Gold, this classic wedding is quintessential Southern chic! These beautiful DIY Flower Crowns are the crowning glory, so to speak, of your floral bridal shower for sure! Planning for your party can be a bit strenuous. To make things easier, Wedding Favorites has everything you need to make your event a unique one. Find the latest décor kits, personalized banners, and more! Make sure to sign up for our NEWSLETTER to get future updates, coupons, holiday printables and more!